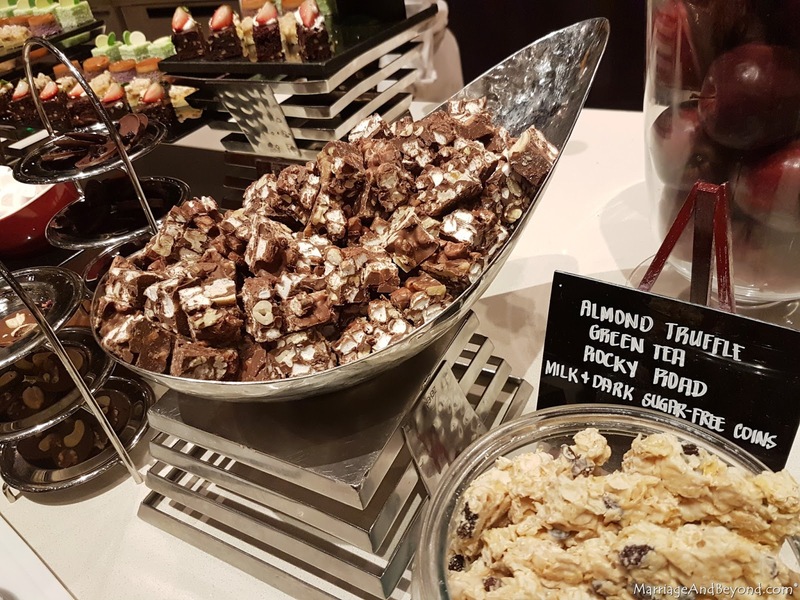 There are so many things to love about Hyatt City of Dreams Manila. One of which is its being within the metropolis, which translates to accessibility if you happen to have a family that has a crazy schedule like we do. 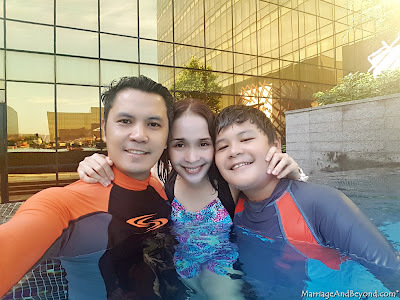 We love going on staycations and quick getaways whenever we get the chance but a distant destination is not always feasible for us, even if we want to fly or do long drives whenever. 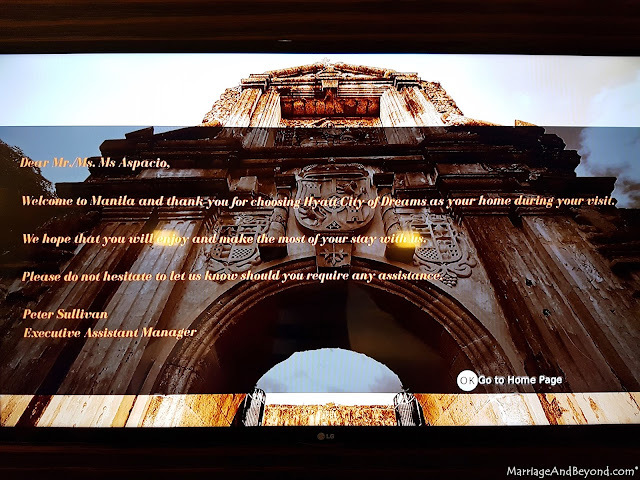 This is why finding accommodations in Manila through online booking sites like Traveloka is almost always what we do. 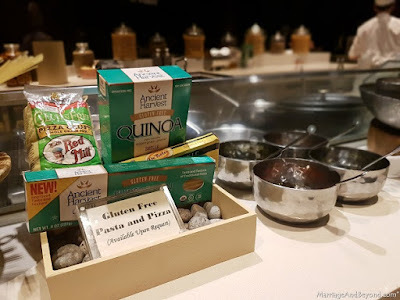 Hyatt City of Dreams Manila is one of our favorite quick vacation destinations that we look forward to going in Metro Manila. And because Hyatt City of Dreams Manila is so close to the Ninoy Aquino International Airport, three kilometeres away, to be exact, travelers can check-in here to make sure they catch their flight without having hassle themselves with the metrowide traffic, Manila is infamous for. Hyatt City of Dreams is a 5-star hotel, that has a total of 362 full-featured rooms. Rooms range from 36 to 86 sqm with floor to ceiling windows furnished in relaxing and warm shades of mustard, paprika and chocolate. Our Superior Room's toilet and bath was the bomb! Above is the panoramic photo I took of our posh t&b. It was huge and we totally loved it. One of our fun anecdotes belong to this bath as we found out that our son took a bath in the tub instead of the shower. He so got used to bathing in our bath tub at home that it didn't occur to him that it would be easier for him to bathe in the shower. Haha! 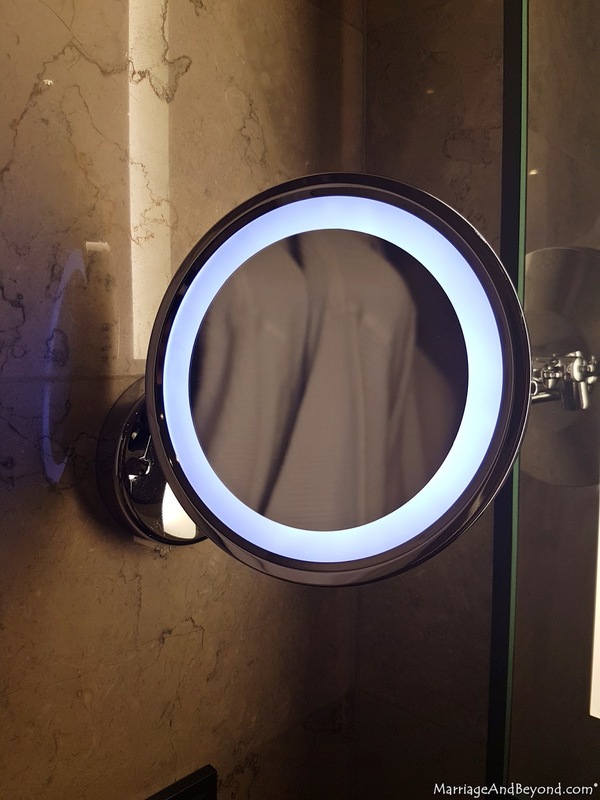 I totally loved the lighted vanity mirror! I swore I was going to get one when I get home. Haha! Our room had a 42-inch LED HDTV with an interactive interface, safe that can accommodate a laptop and the no less than 300-count linen and sink-into-me pillow. 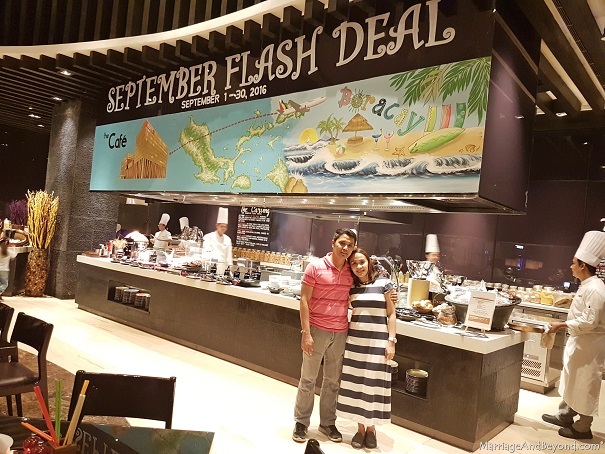 If we had a week to stay in Hyatt CDO, I would have stayed in bed all day! Unless we are staycationing in a cooler place like Tagaytay or Baguio, or overseas, our family will always book in a place with a pool. There's nothing like having fun while having a full body workout and we all can make use of cooling off from the scorching heat we are offered almost the whole year in the tropics. If you happen to no fancy swimming, the Fitness Center at the Level 1 is fully equipped with treadmills, weights, steppers and stationary bikes. And it's open 24 hours. We had the Fitness Center all to ourselves during our visit. 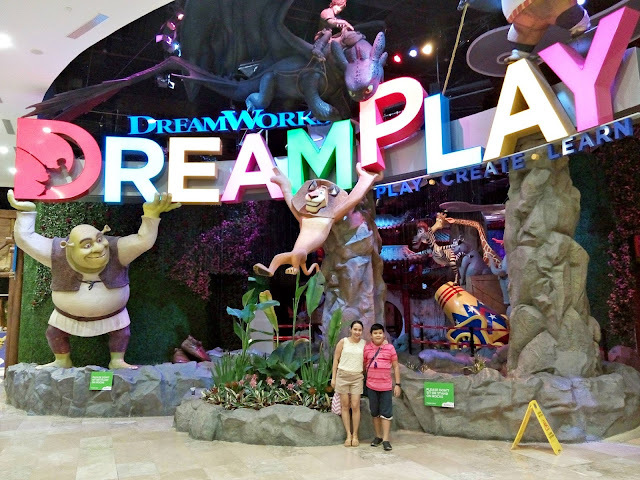 DreamPlay is the world's first family entertainment center from Hollywood Studio DreamWorks Animation, that features education-based, interactive entertainment with its idea of kids learning best through play. It occupies over 2,400 sqm and features DreamWorks' beloved characters integrated in the games and activity offerings, catering to children from 6 to 12 years old. I wasn't anywhere close to that age, but I sure did love my time within the theme park. 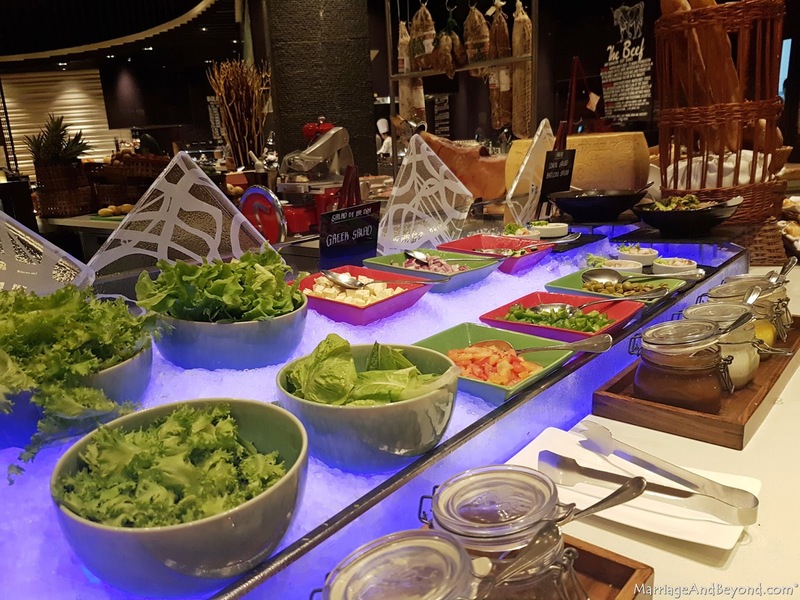 Located at the left of the lobby is The Cafe, where vibrant live cooking and buffet stations await guests who are in for the feast of their lifetime. Although ala carte is available, I highly recommend that you avail of the buffet service hours where live culinary theatre is performed by experienced chefs. The Deli: sushi, sashimi, charcuteries, pates and cheeses, salads, bread varieties and terrines, chilled seafood. What I loved best about the Cafe is their use of fresh and authentic ingredients. They cook their food offerings from scratch! Health buffs need not feel out of place! The chefs will willingly cook your request using Gluten-Free pasta or pizza. 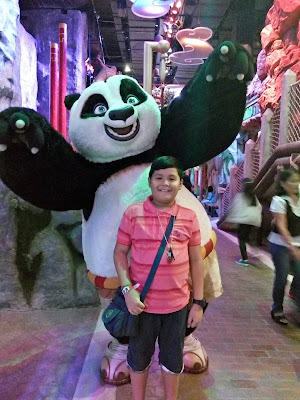 Our family truly enjoyed the quick Hyatt City of Dreams Manila getaway. Thank you Hyatt CDO, for inviting us!